"The council's unconditional withdrawal of proceedings confirms my innocence"
A council which was the first to prosecute a mother for lying on an admissions form to get her son into a good school has withdrawn its action. Harrow Council in London prosecuted Mrinal Patel, who gave her mother's address when applying to the popular Pinner Park First School for her son. 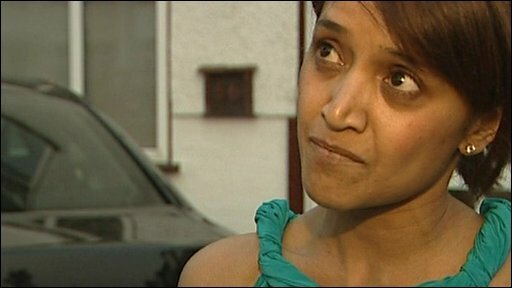 The council had used the Fraud Act 2006 to prosecute Mrs Patel, but was advised it could not be applied to this case. Schools Secretary Ed Balls has ordered a review to look at possible loopholes. He has asked the Schools Adjudicator to examine the scale of the problem of cheating and see if local authorities have enough sanctions. The review will look at whether councils are using their existing power to withdraw a place from a child if their parent has cheated to get a school place. The adjudicator will report in November. Mr Balls said: "It's really important that parents who are playing properly by the rules are not disadvantaged by some parents who break the rules or provide false information. "That's not fair and we should be tough." This morning Mrs Patel said she was relieved, and that Harrow's decision not to launch what she called a "disproportionate" action against her showed she was innocent. But she admitted that she had said on the form that she had lived at the address she gave for 14 years, when in fact she had only stayed there for four weeks. She said she wrote this figure on the form because her mother had been living at this address for 14 years, and said she had been "under a tremendous amount of stress" at this time. She said she had been honest with the council when they contacted her to check her application. She added: "I still don't feel I have done anything wrong. "My biggest mistake was that I didn't tell the council I had moved out [of her mother's flat] when I did. "When they rang to check with me and asked if I was still living there, I said no. "I never tried to hide anything." Harrow Council said it was no longer clear that the Fraud Act 2006 could be used to cover this type of case and so it had decided to withdraw the action to avoid potentially expensive court costs. The leader of Harrow Council, David Ashton, told the BBC: "This seems to be a loophole, we can't in this particular instance and with this example use the Fraud Act 2006. "But we are looking at other avenues and we'll be discussing it further. But it would help if the government considered this position, because it is a nationwide problem." He added: "This is not a question of persecuting individuals. "We took the view we should prosecute, because we have to ensure there is a level playing field for all parents. "The difficulty is that there is no clear law of what sanction applies if parents puts false information on their application form." The BBC's education correspondent, James Westhead, said the council had been concerned the Fraud Act might only apply to property, rather than school places, and that its prosecution might fail. He added anecdotal evidence suggested that the problem of parents lying about their home addresses in order to get into good schools had trebled over the last couple of years. Pinner Park First School received 411 applications for its 90 available places in September 2008. The council says it allocated places to children living closest to the school, up to a maximum distance of 0.685 miles. When she applied for a school place, Mrs Patel gave the address of her mother, which was within the school's catchment area, rather than the family address. Mrs Patel said that she was separated from her husband at this time and had "no intention" of moving back to the matrimonial home but that four weeks later she changed her mind. Harrow Council said it had brought the case "with the greatest of reluctance" after Mrs Patel failed to explain irregularities regarding her application. It said it had invited Mrs Patel to a series of meetings to explain her case but Mrs Patel had failed to attend them. Mrs Patel said her solicitor had advised her she did not need to attend the meetings. Mr Ashton said: "While we stand by the substance of our case, subsequent legal advice is that technical legal arguments over the interpretation of the Act could pose a risk to the success of the action. "We have therefore decided that, rather than incur potentially costly legal fees over a Crown Court case that might be undermined by legal argument, the interests of residents are better served by Harrow Council withdrawing this action. "This case was never about persecuting mothers who wish to do the best for their children; it was about defending the integrity of the school system against those who might seek to flout it." Is there a school place loophole?